JEE is one of the most talked about entrances. Over 10 lakh students apply for this examination annually. Unfortunately due to the complexity of this exam and also the to lack of preparation on the student’s part, only 1,50,000 are able to clear the exam. These students can then attempt the JEE Advanced which decides which IIT the student gets into according to his All India Rank (AIR). · The engineering field requires applicants who constantly innovate and have the vision of executing those ideas successively. To better prepare the coming generation for the field, the CBSE board has laid down JEE where the student is made to understand crucial topics from the very beginning, how a certain mistake can be hazardous in terms of marks here and how they could be avoided it in the future. · The Joint Entrance Examination (JEE) is one of the most preferred engineering entrance examinations. The examination is affiliated with almost all engineering colleges; except for those who conduct their own entrances. · JEE comprises of 3 sections namely, Physics, Chemistry and Mathematics. Each section has 30 questions each of 4 marks. These are of objective type with 4 corresponding options to choose from. Attempt the question correctly and you’ll be given 4 marks for it. · The students must first attempt the JEE Mains. Based on whether they pass the cut-off are they eligible to go ahead and attempt the JEE Advanced. How does one apply for JEE? 2. The applicant must then fill the form appropriately and follow the steps correctly. They should keep track of all the important scheduled dates and follow up with them. Students applying for JEE in West Bengal can also refer to this site- http://wbjeeb.in where they can download the WBJEE admit card after filling out the registration form. The WBJEE rank card can be downloaded from the very site to check your ranking in the state. The students are given the examination venue and exam number on their admit cards. The admit card will be checked at the venue and only then will you be permitted to enter the hall. How to check the JEE Mains Result? You could check your result right after attempting your JEE Mains. · Calculate the number of questions attempted and observe the right attempts from the JEE answer key available on the Internet. · Multiply this by 4 and subtract the number of wrong attempts from this total. The obtained result is in turn your final JEE Mains result depending on the authenticity of the JEE answer key you refer to. If you’re confident to have passed the cut off, usually within the range of 115-120, you could start preparing yourself for JEE Advanced. Why is the exam said to be tough? · An interesting aspect of this examination is that there is negative marking. That means, you lose out on a mark on the already attained marks every time you mark a wrong answer. This could result in huge differences in your ranking, which may result in you being cut off the race right there. 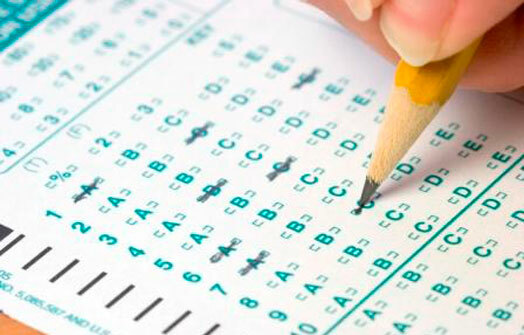 The basic reason for the negative marking is that the student realizes that random choices may not aid their result. · There are 90 questions to be attempted in 3 hours time. Many times, 3 hours may not be enough to even read those 90 questions thoroughly. It is important here, for the student to be wise and attempt those questions whose concepts they’re well familiar with. Also, students should attempt some theoretical questions at the beginning so that they have enough confidence to attempt and solve for the numerical. · The questions can seem to be tough, but if you prepare yourself well you’ll be able to easily pass the cut-off and attempt for the Advanced exam. If you’re still resentful of attempting the JEE, many reputed colleges like VIT conduct their own entrances which basically comprises of the same syllabus you would study for JEE. It would be wise to prepare for more than one entrance exam so you’re closer to achieving your aims. How to avail a distance MBA program?